Open Privacy exists to empower. Through the current generation of centralized technological systems people have lost the power to consent to what happens to them and lost much of their privacy. Nowhere is this felt more acutely then in marginalized communities. Open Privacy's mandate is to build tools for people and for communities, tools that cannot be used against them, tools that give them control. The Open Privacy Research Society (Open Privacy for short) is a non-profit Canadian group based in Vancouver, British Columbia. We believe that moral systems enable consent. Our society exists to invent, create, build, test, publish, deploy, promote, and to encourage the development of such systems. Of course, you can leave your shipping address blank or send us a message if you don't want any. We send them by regular letter mail (so no tracking number) to keep costs down. If you give us your shipping address, we'll send you 3 Open Privacy stickers the first (and only first) time your pledge is processed. If you give us your shipping address, we'll send you 5 Open Privacy stickers the first (and only first) time your pledge is processed. If you give us your shipping address, we'll send you 7 Open Privacy stickers the first (and only first) time your pledge is processed. 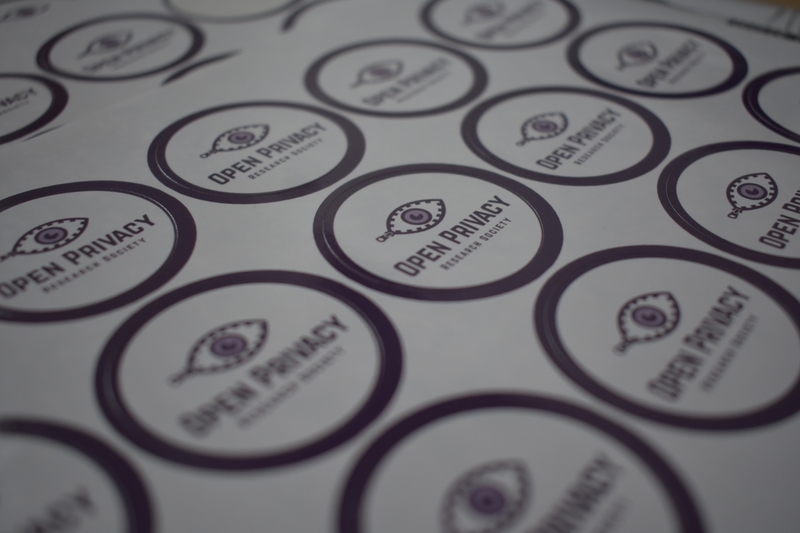 If you give us your shipping address, we'll send you 10 Open Privacy stickers the first (and only first) time your pledge is processed. This will allow us to fund ongoing development of all our many projects.